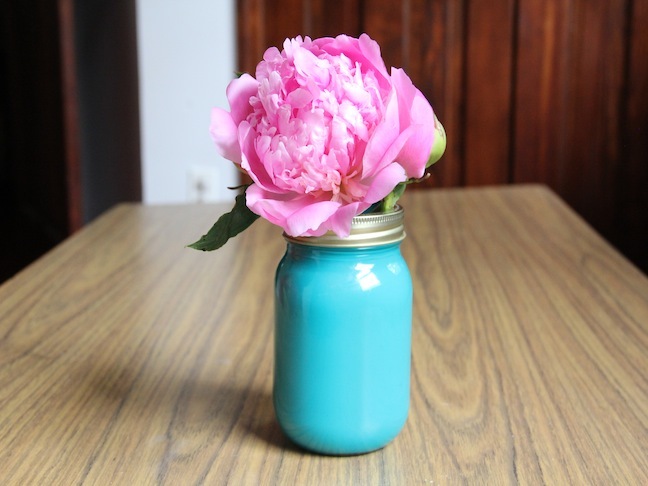 Mason jars make lovely vases, but because they are clear, after a day or so the jar starts to look not so lovely. 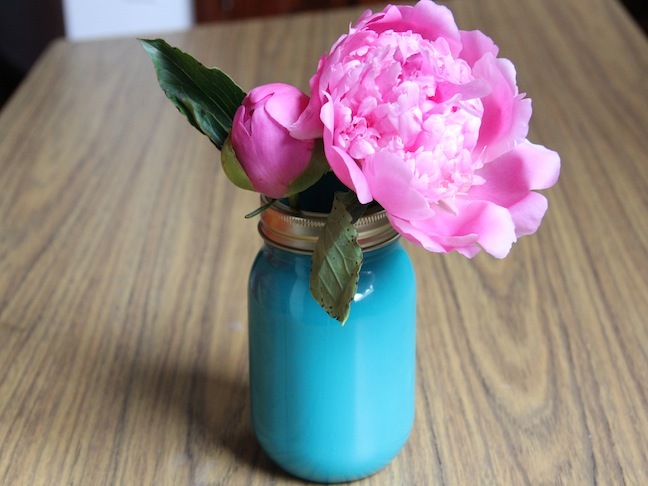 With this simple tutorial, you can paint the inside of your mason jar to keep your vase looking pretty and add some color too! 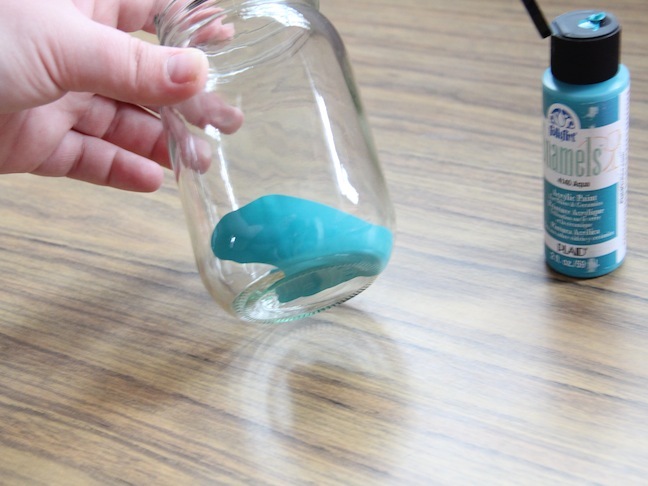 First, make sure your jar is clean and free of dust. 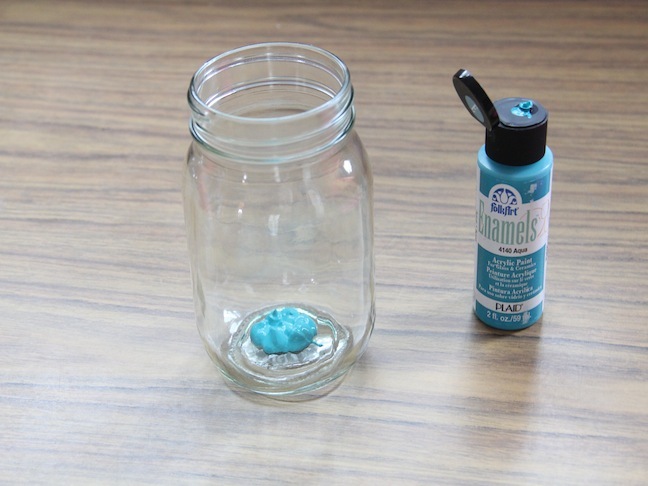 Then add a squirt of paint to the very bottom of the jar. 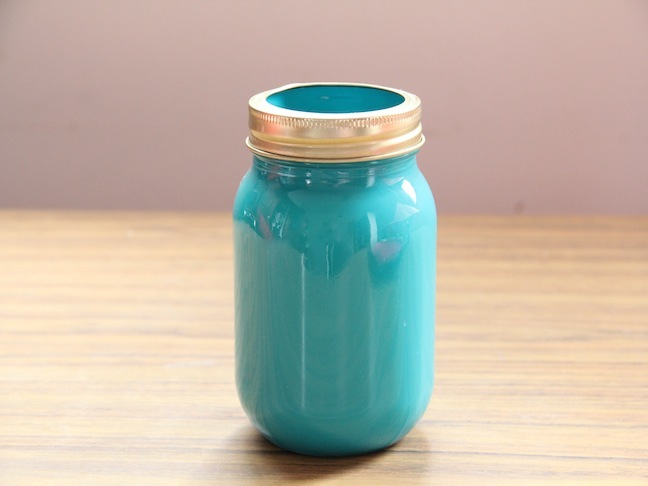 Using the palm of your hand hit the jar lightly to get the paint to swirl and move around covering the entire inside with paint. You may need to add a little more paint to get it all covered. 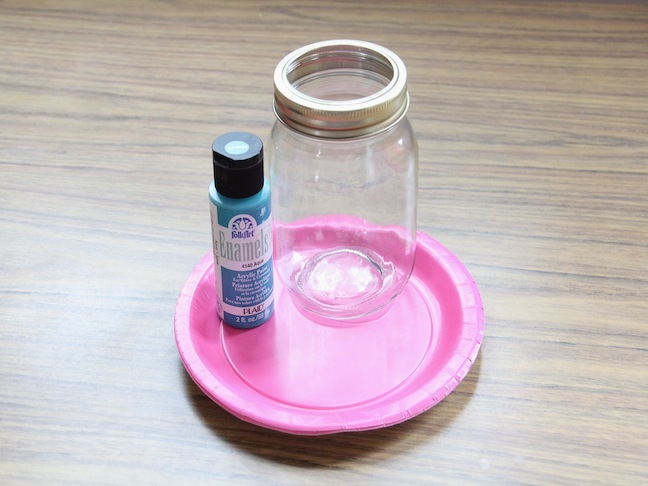 Then set your jar upside down on a paper plate and let gravity do it’s thing! 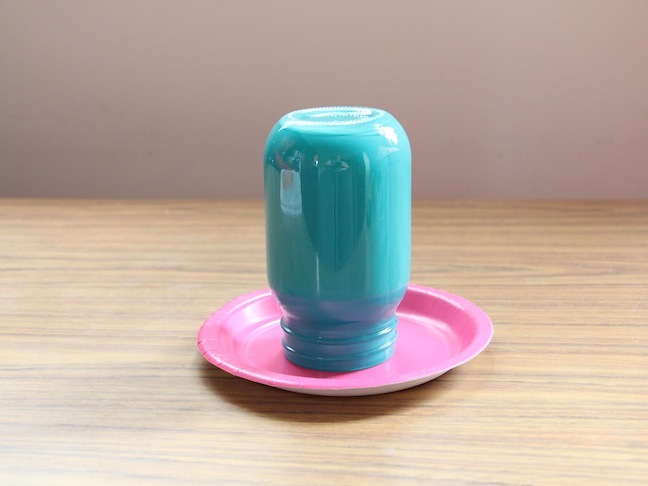 This will ensure the paint doesn’t collect at the bottom of the jar making it near impossible to dry properly. Let the jar sit for 24 hours and then bake according to the instructions on the bottle. I screwed part of the lid back on because I like the touch of gold. But feel free to leave it off it you would like! After it’s cooled down, fill it with your favorite flowers!